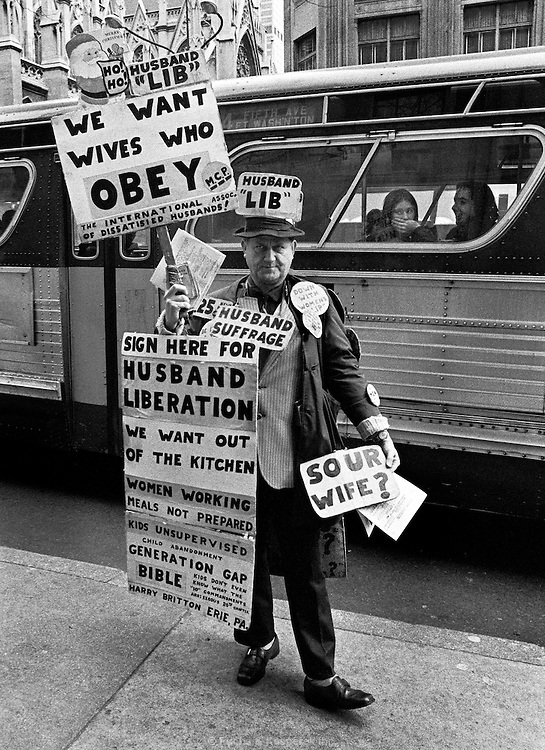 Harry Britton, a career protestor, stands near Rockefeller Center in New York City in 1973. Britton left his wife and family in Erie, PA after he was laid off from his job and his wife got a job. He told her she could not work and if she did he would leave. She needed to support the family so would not quit, he left and did this the rest of hisdays.